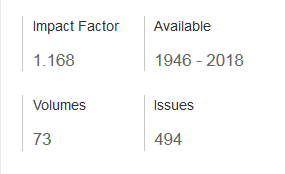 Annals of Telecommunications (AT) has a long history of scientific publications (including digital archives) since 1946. The journal traditionally covers a large spectrum of topics, ranging from emerging technologies to the impact of technologies on the digital society from the telecom system perspective. Following significant improvements in its impact factor, the journal is facing an increasing number of submissions worldwide. Consequently, it was decided – while maintaining its large scope – to restructure its board into areas and topics, each assigned to a panel of specialized associate editors, for better processing and reviewing of submissions. The new editorial board is given below. Applications for associate editor positions are welcome (send resume and keywords of expertise to the search committee c/o redaction@annals-of-telecommunications.com). Proposals from guest editors for future special issues are always welcome. Annals of Telecommunications also works with many conferences to publish extended papers after a gentle reviewing process. Conference partnerships are welcome. Please feel free to contact our conference administrator Pierre Rolin.